There has been quite a buzz about some new research that suggests the music playing at your next backyard party may keep the mosquitoes at bay. Could it actually be true? Are mosquitoes monsters or sprites? The study was recently published in the peer-reviewed journal Acta Tropica. The researchers (including one of my previous PhD students) exposed mosquitoes to the song “Scary Monsters And Nice Sprites” by U.S. electronic dub-step artist Skrillex while recording how long it took Aedes aegypti (these are the mosquitoes that transmit dengue viruses) to find a blood meal, how long they spent feeding, as well as tracking how much time was spent mating. The “blood meal” was provided by a restrained hamster and all experiments were conducted in the laboratory. Unfortunately, the researchers didn’t explain why they decided to use this particular song, only describing it as “…characterized as noisy based on the resulting vibragram and strong sound pressure/vibration with constantly rising pitches”. It would have been interesting to include a couple of other songs in the testing too. Perhaps something a little more downbeat? Once they had the song playing (ensuring the speakers weren’t located close enough to cause vibration to the cage containing mosquitoes), mosquitoes were released into the cage and behaviour was recorded for 10 minutes. Researchers recorded the time to first blood feeding attempt, number of blood feeding events, and number of mating events. The results were interesting. Mosquitoes took longer to find a host, spent less time blood feeding and mated less often when exposed to the music. These differences in each measurement were statistically different too. What does this mean for prevention of mosquito-borne disease? This study has received plenty of media attention. See here and here and here. 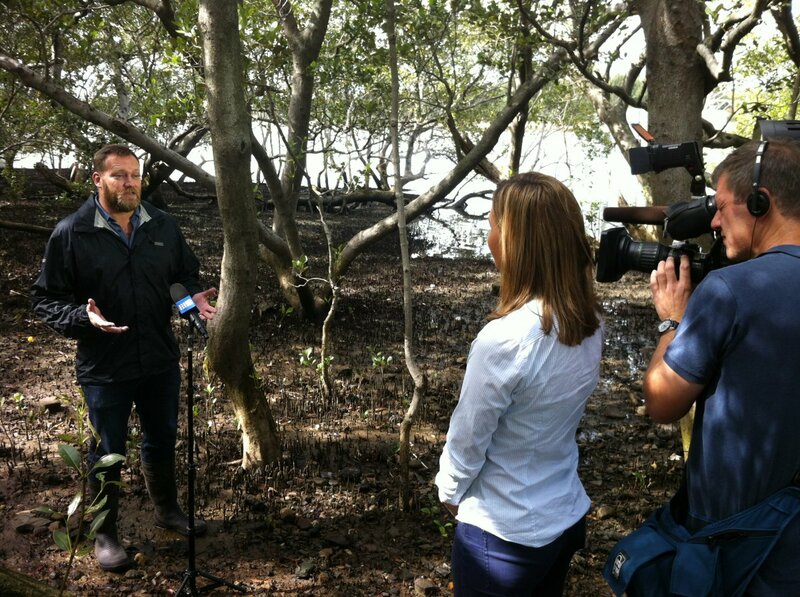 I spoke to ABC Sydney about it too (tune in from the 1:07). While the results demonstrated some reduced likelihood of biting, it shouldn’t be interpreted that playing Skrillex’s music will protect yourself from mosquito bites. The reduced likelihood was pretty short lived, you’re pretty much guaranteed to get bitten despite the dub step blasting from the boombox. There has always been an interest in understanding how sound impacts the behaviour of mosquitoes. 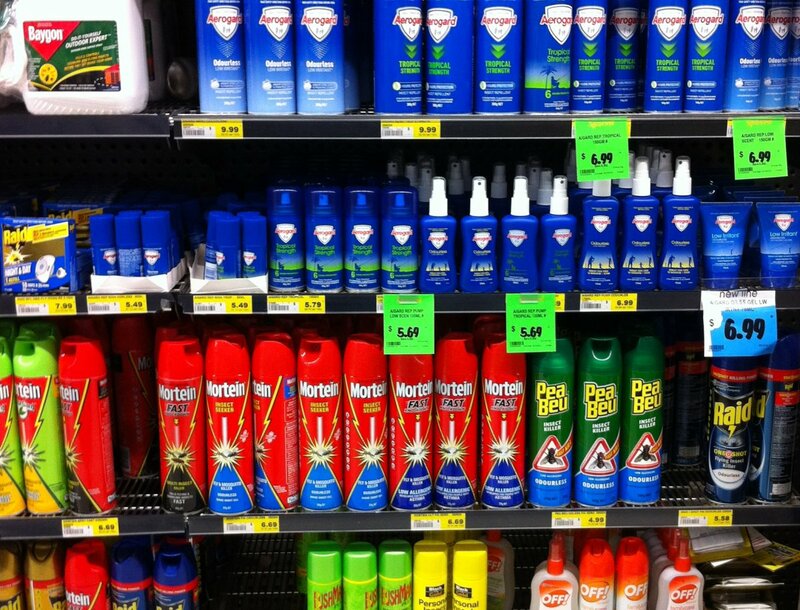 Ultrasonic insect repellents have been sold in one way or another for a couple of decades. Now you can download apps to your smartphone that purport to use sound to repel mosquitoes. There really is no evidence that sound can provide protection from mosquito bites. Digging deeper into the “Skrillex study”, the results indicate that even though there may be less chance you’ll be bitten while listening to this music, you’ll still be bitten. Even over the relatively short exposure periods in the laboratory study, the mosquitoes were still biting. Notwithstanding your tolerance of Skrillex’s brand of electronic music, who knows how loud you need to be playing it or how shifts in songs (and their associated pitches, frequencies, buzzes, and beats) may change the activity of local mosquitoes. To prevent mosquito-borne disease, you need to stop all bites, not just some of them. Topical insect repellents will still provide better protection. Keep in mind that even a low dose DEET-based insect repellent will prevent all bites from Aedes aegypti for a few hours in laboratory testing. Join the conversation on Twitter, if music could keep mosquitoes away, what music would you want that to be? Ross River virus in Melbourne, how did that happen? Health authorities in Victoria have been warning of mosquito-borne Ross River virus for much of the summer. The state is experiencing one of its worst outbreaks of the disease but cases have mostly been across inland regions. Now it’s hit Melbourne. How has this happened? Ross River virus is the most commonly reported mosquito-borne disease in Australia. There are usually about 5,000 cases across Australia. However, in 2015 there was a major spike in activity with around 9,000 cases reported. It is a common misconception that the disease is only found in northern regions of Australia. I’m often told “I heard the disease is moving south from QLD?” That’s not the case. The virus is just as much a natural part of the Australian environment as the mosquitoes and the wildlife that maintain transmission cycles. While there are generally more cases in northern Australia, nowhere is safe. Some of the largest outbreaks have occurred in southern regions of Western Australia, South Australia, Victoria and even Tasmania. The virus is widespread but is generally associated with rural regions. A driving factor in determining the activity of Ross River virus is that more than just mosquitoes are involved in outbreaks. The virus is maintained in the environment in native wildlife, especially kangaroos and wallabies. Even when and where there are high numbers of mosquitoes, without wildlife, outbreak risk is low. This is the reason why any clusters of locally infected cases in metropolitan regions are typical in areas where there are wetlands, wildlife and mosquitoes occurring together. We’ve seen this on the urban fringe of Sydney and Perth in recent years. The announcement of locally acquired cases in the suburbs of Frankston and Casey, in Melbourne’s south-east, has taken many by surprise. Should it have? Victoria is no stranger to mosquitoes and outbreaks of mosquito-borne disease. There are mosquito surveillance and mosquito control programs in place in many regions and historically there have been major outbreaks of mosquito-borne disease. 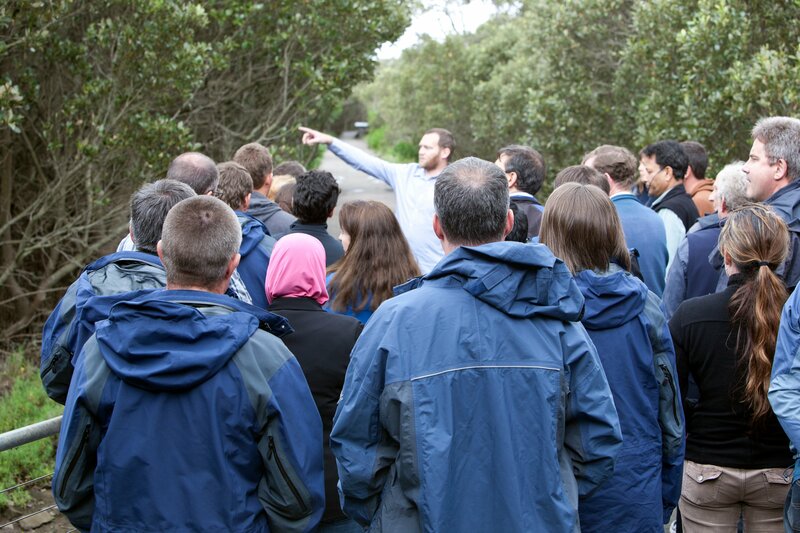 From freshwater flood plains of the inland to the tidally flooded estuarine wetlands of the coast, Victoria has diverse and often abundant mosquitoes. But cases in the metropolitan region are rare. Victorian mosquitoes are not all bad but over a dozen different mosquito species can spread Ross River virus. The region where these cases have been identified are in proximity to bushland and wetland areas. There is no doubt plenty of mosquitoes and suitable wildlife too. While this is the first time local transmission has been documented, that doesn’t mean the virus hasn’t circulated in the past, or even that cases may have occurred. For individuals infected but only suffering mild symptoms, the illness can be easily discounted as nothing more than a mild case of the flu. Without appropriate blood tests, these cases never appear in official statistics. For this reason, many mosquito researchers believe that the number of notified cases across the country is just the tip of the iceberg with many milder infections going diagnosed. But why in Melbourne now? It is difficult to know for sure. The two most likely explanations are that either environmental conditions were ideal for mosquitoes and suitable populations of wildlife were present so that the virus was much more active in the local environment than previously. The second explanation is that the virus may have been introduced to the region by a traveller or movement of wildlife. In much the same way Zika virus made its way from SE Asia to South America in the last few years, mosquito-borne viruses move about in people and animals, much less so than mosquitoes themselves (but that isn’t impossible either). Victoria (as well as inland NSW) is experiencing one of its largest outbreaks of Ross River virus on record following significant flooding of inland regions. With so much activity of the virus in the region, perhaps an infected bird or person travelling to the metropolitan region brought the virus with them. When bitten by local mosquitoes, the virus started circulated among local mosquitoes and wildlife. Most people infected by Ross River virus are bitten by a mosquito that has previously fed on a kangaroo or wallaby. Once it’s made its way to metropolitan regions, the virus can be spread from person to person by mosquitoes. Common backyard mosquitoes, especially Aedes notoscriptus, can transmit the virus but as these mosquitoes are not particularly abundant, don’t fly vary far and will just as likely bite animals as humans, they’re unlikely to drive major urban outbreaks of the disease. This mosquito doesn’t pack the same virus-spreading-punch as mosquitoes such as Aedes aegypti that spreads dengue, chikungunya and Zika viruses. Aedes aegypti isn’t in Victoria. We’re unlikely to see significant spread of Ross River virus across Melbourne but that doesn’t mean Victorians should be complacent. As there is no cure for Ross River virus disease, the best approach is to avoid being infected in the first place. Preventing mosquito bites is the best approach. For my tips and tricks on avoiding mosquito bites see this recent paper in Public Health Research and Practice as well as my article for The Conversation. Keep an eye on the website of Victoria Health for more information. For many scientists, communicating the ideas that underpin their areas of expertise to the public and policy makers is critical. Sharing the findings of research could make a difference to people’s lives, even if it is just to increase their appreciate of science and the world around them. But how do we value the communication of science by scientists? Scientists often bemoan the lack of acknowledgment of their scientific communications and community engagement efforts. There is little doubt that these “outreach” activities receive far less “academic credit” than publication in high impact journals. Writing for “popular science” outlets is often perceived to be a career negative. While some argue there needs to be capacity for the community engagement efforts of scientists to be acknowledged in the assessment of academic accomplishment, others argue against it. Regardless of your motivations, if you’re going to engage in science communication, it is best to make the most of your activities but even when your research goes vial, how can you put a value on this? How can you value your science communications in a way that may be recognised for employment, promotion, grant applications etc? 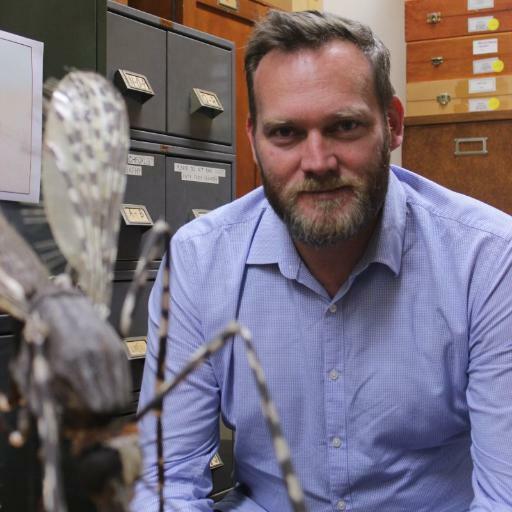 One of my recent articles for The Conversation, why mosquitoes seem to bite some people more, went a little bit viral. Almost 1.3 million people clicked on that article. Would I swap it for an article in Nature (or any other scholarly publication with a high impact factor) that only 20 people read? Probably as it would make a far more valuable contribution to my career…but would it have the same potential to change people’s awareness and behaviour in avoiding mosquito bites? Probably not. I’ve written before about the importance of social media in getting the public health messages informed by my research out to the public. 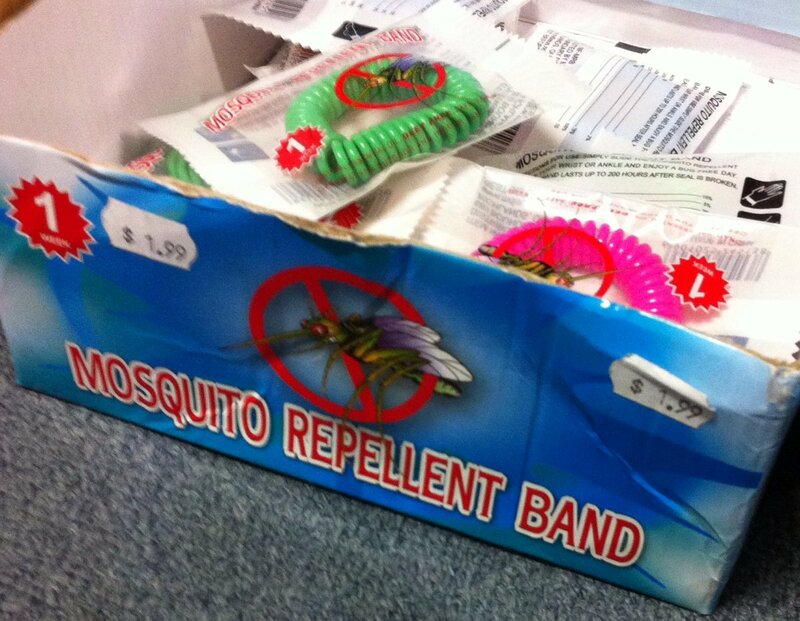 A blog post I wrote about the shortcomings of mosquito repellent wrist bands in protecting people against mosquito bites is the most read post on my blog. Since first published, the article “Do mosquito repellent wrist bands work?” has been read by around 47,000 people. The original paper, published in a journal without an impact factor, may have been read by only dozens of people if I hadn’t written about it on my blog. I’m increasingly asked to provide evidence of “engagement” or “translation” activities associated with my research. This is particularly the case for my activities with Centre for infectious Disease and Microbiology Public Health where translating research for improved public health outcomes is a key objective. Those outcomes have generally been focused on providing informed guidance to local authorities on infectious disease surveillance, diagnosis and treatment. I wanted to share how I’ve been trying to value my science communication activities in recent years. My general approach to this is to document as much detail as possible about individual activities, try to quantify the reach of activities (as much as possible) and to try to use my experience with these activities into what could be best described as my “core” activities. In the same way you may incorporate a new laboratory technique or statistical analysis into your research, why not incorporate your science communication activities similarly? In the summer past, I’ve been interviewed about 50 times on research findings, disease outbreaks and topical issues associated with mosquitoes and mosquito-borne disease. This level of activity clearly holds the potential to engage the wider community with important public health messages as well as (hopefully) improve their understanding of local scientists and their research. While keeping a track of the interviews and their details (date, topic, journalist, outlet etc) is handy, it is also possible to go beyond that to record audience reach and assign a relative value. This is where you’ll need the help of your institute’s media and communications unit. They should be able to obtain reports from media monitoring organisations that keep track of details (interview summary points and duration, audience size, estimated value) associated with media activities. For example, on 16 January 2015 I did a live cross to Channel 7’s Sunrise program. The interview ran for just over 3 minutes, issues about mosquito-borne disease risk and personal protection measures were covered, it had an estimated audience of over 500,000 and was valued at around $200,000. Over the course of a year (or perhaps a research project), it is possible to assign both a financial and engagement value? For me, the media activities over the 2014-2015 summer had an estimate audience of around 8 million and value of over $600,000. This extra level of detail adds so much extra weight to the value of science communications activities. Mosquito Bites is the bulletin of the Mosquito Control Association of Australia. 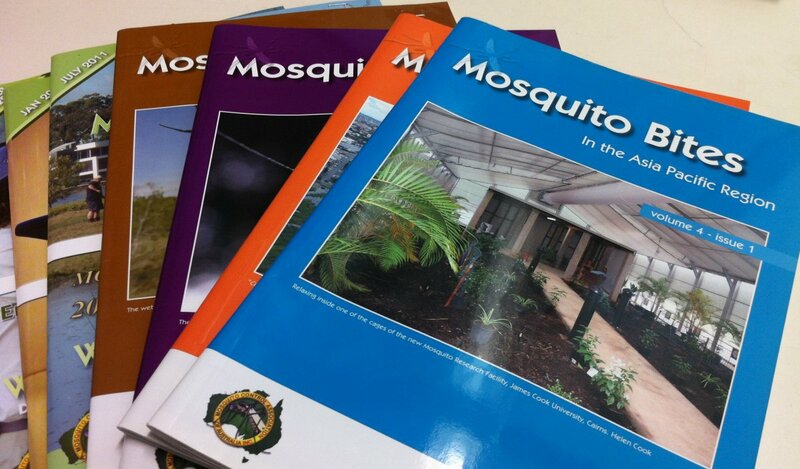 Distributed to members throughout Australia and many other countries, it provides information on the operational aspects of mosquito and mosquito-borne disease management. I regularly contribute articles to non-scholarly publications, these include newsletters, bulletins and magazines produced by local community groups, industry bodies and scientific associations. As well as recording the specific details about each article, it is also possible to record circulation as a measure of engagement. If you need to add a financial value to these articles, why not consider what the current rates are for freelance journalists? They seem to be around $0.40-1.00 per word, that makes any (non-scholarly journal) writing associated with research projects as an “in kind” contribution valued at around $500-600? Planning on writing an article associated with an upcoming research project, why not include this extra value as an “in kind” contribution? I regularly write for The Conversation. The website provides excellent data on the readership of individual articles (including with respect to other contributors from your institution) in addition to republication and social network sharing. Most of my articles receive around 6,000-8,000 reads but many have also reached around 20,000. Again, this is typically substantially greater exposure than received by my articles in scholarly journals. Recording this additional information would help make a handy argument that non-academic writing holds value, especially when arguing about research translation. Output from @mozziebites Twitter Analytics for February 2015 showing data on impressions and engagement with my Tweets during the month. Got a Twitter account or Facebook page? It is obviously great to keep track of your follower numbers, retweets, likes and shares of tweets and posts. It is a way to demonstrate engagement with the community. I started tracking my activity on Twitter early on. 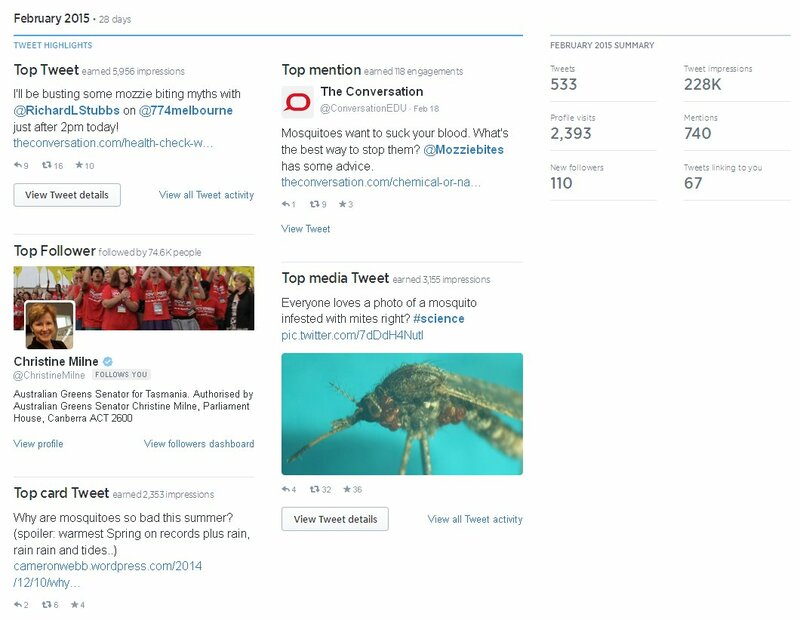 I was partly interested in whether people would engage with tweets about mozzies but I also wanted to demonstrate to my “bosses” that using social media for “work purposes” had some benefits in line with the public health objectives of my research activities. There was also a very nice paper published in 2012 that provided a framework for assessing the engagement of health authorities with social media and I wanted to gather similar data. For Twitter users, you can access data on your own account via Twitter Analytics. It provides plenty of useful information, especially engagements (i.e. total number of times a user interacted with a Tweet, including retweets, replies, follows, favorites, links, cards, hashtags, embedded media, username, profile photo, or Tweet expansion), impressions (i.e. times a user is served a Tweet in timeline or search results) and link clicks (i.e. clicks on a URL in the Tweet). This kind of data can help demonstrate the extent to which the online community is interacting with your own social media activity. It will also help if you engage with your institution on social media. Help promote their activities and those of your colleagues and collaborators. In turn they’ll help raise your profile too. 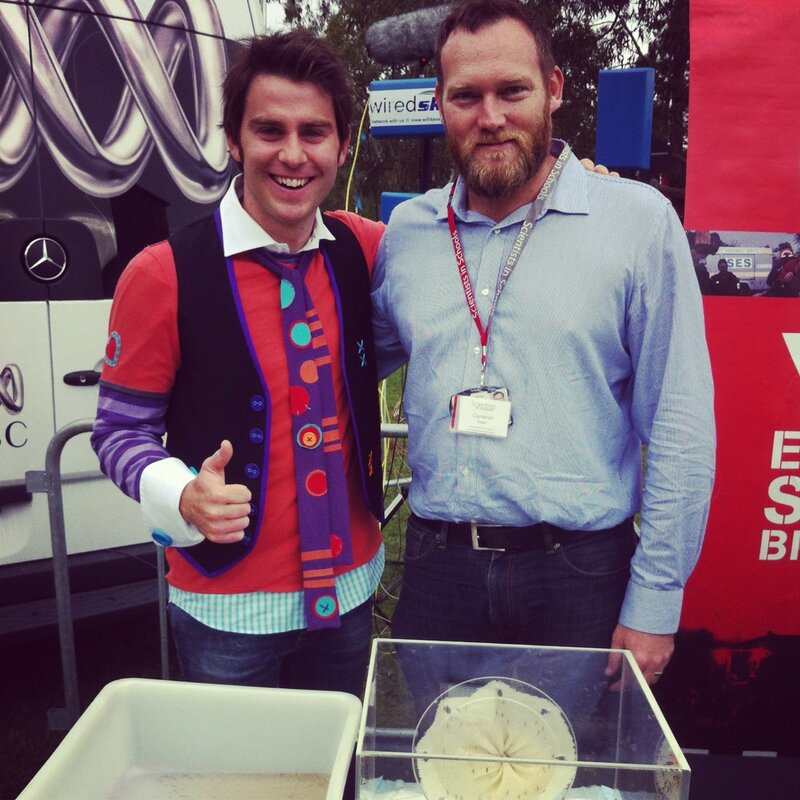 Speaking at public events provides opportunities to meet a wide cross section of the community….even celebrities such as Jimmy Giggle at the ABC community event at Parramatta Park, April 2014. Every year i speak at a range of community events. In the past year or so I’ve spoken at such diverse events as Sydney Olympic Park Authority’s Life in the Park, Australian Skeptics in the Pub, Cumberland Birds Observer’s Cub meeting, Oatley Flora and Fauna Conservation Society meeting and Pint of Science. This provides an opportunity to speak to a wide cross section of the community but is also an opportunity to document experience in communicating to different audiences. As well as keeping track of these speaking engagements (date, title, location, hosting organisation), I also try to record the number of attendees and most of the time I make a note of questions asked. This, again, is a way to document engagement/translation of research. It can also form a foundation for how you may shape research, it has particularly been the case for me reviewing the way we share public health information relating to the promotion of insect repellent use. Finally, think about ways you can parlay your experience with science communication into output that’s recognised by your organisation or institute. Why not write a perspectives piece, commentary or letter to the editor? I’m regularly seeing articles popping up in peer reviewed journals explaining the benefits of using social media, why not target a journal within your field that may not have covered the topic. You only need to see the metrics on this paper, ‘An Introduction to Social Media for Scientists‘, to realise that there is plenty of interest and having an extra journal article under your belt won’t hurt either. Similarly, if you’re being asked to speak at conferences and workshops on your use of social media and/or science communication strategies, make sure you’re recording all those details too. To conclude, there may not (yet) be a magic number to assign to your science communications activity in the same way impact factors and altmetrics help measure the success of traditional academic output. However, that doesn’t mean you cannot record a bunch of “metrics” associated with science communications, both online and off, that will hopefully better place you for that next job offer or promotion. What do you think? How do you document your scientific communications activities? Join the conversation on Twitter.